Established in 1906, Canara Bank is one of the oldest bank operating in India. For more than a century it has shown its consistent performance, growth and have been a popular bank in every state of the country. Having a network of more 5500 ATM centres and 4600 branches, this bank is much closer to the people of any city. 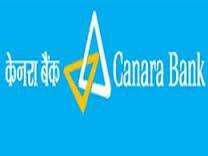 Muzaffarnagar like any other city has a huge demand of banking organization and to meet up the requirement to some extent, Canara Bank has taken the initiative and opened nine branches across the district along with many ATM centres. The branches are based on some of the popular locations of the district. Below is a list of all the branches operating along with detail address and phone numbers for reference.